Instagram is an amazingly powerful social network – and it is ALL about images. Every single post is an image with a description. This is perfect for artists. You can share the artwork you’re working on, let people know about shows you’re in, build up your fan base, and make sales. Best of all, it’s free. Just like this workshop! Come on out for a free hands-on exploration of Instagram. All you need is a web-enabled (smartphone) cellphone or tablet. We’ll help you set up your account and get started. If you have an account, we’ll show you how to use it to its best ability. 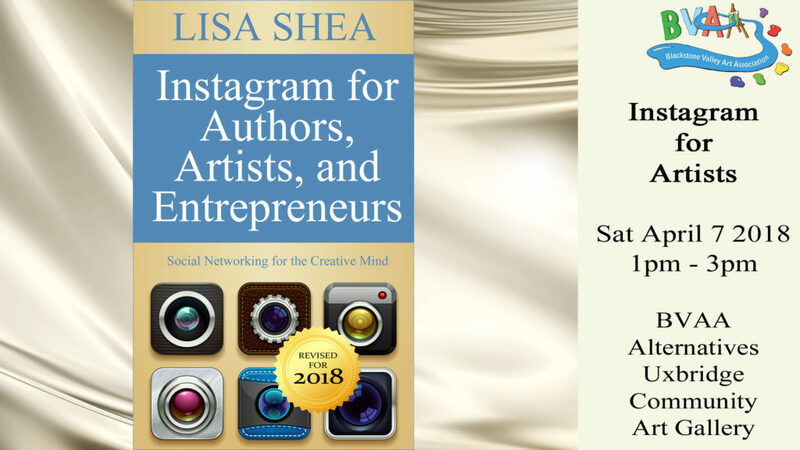 You also get a free copy of my book on Instagram for Artists. This fascinating workshop is open to the public. And it’s free! You do need a tablet or smartphone. Instagram doesn’t work from a PC or Mac interface, unless you install a cell phone emulator onto that system. That can be a bit tricky, but it’s doable if that’s your only option.